The country’s capital is the second city of origin in number of passengers to the destination, after Guadalajara; through these efforts the CVB and the AHMBB contribute to keeping the numbers up during the summer season. 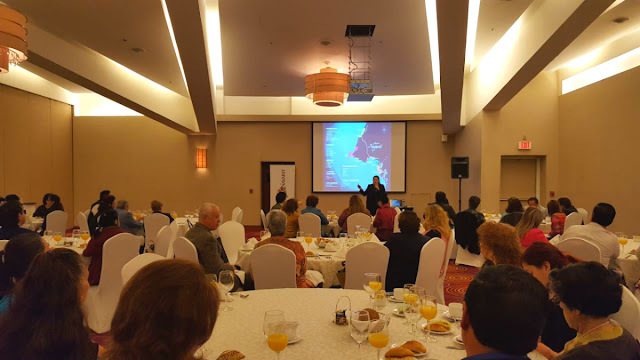 The Riviera Nayarit Convention and Visitors Bureau (CVB) together with the Bahía de Banderas Hotel and Motel Association (AHMBB) and the Tepic Hotel and Motel Association focused their tourism promotion efforts on Mexico City, the second city of origin in number of visitors to the destination after Guadalajara, it’s natural market. Representatives of airlines including Aeroméxico and Magnicharters were also present, as were a number of DMCs: Trafic Tours, Tropical Incentives, and VTA Vallarta Nayarit. Invited agencies included Virtuoso and American Express Travel. 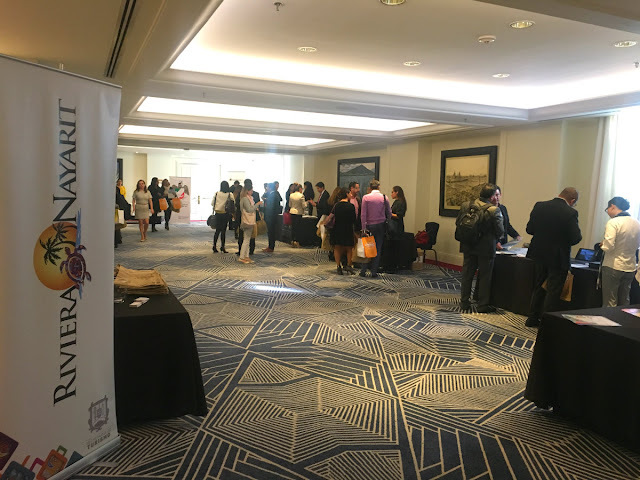 During this intense work week, the CVB trained over 250 travel agents and meeting planners in this city, starting off on the right foot on Tuesday, March 13th with a presentation breakfast for 100 agents and sales executives from Magnicharters. This airline currently sells packages that include an ample variety of hotels in the Riviera Nayarit, mostly with charter flights and some direct flights from the capital and Monterrey. During the presentation the agents learned more about the destination’s attractions and the promotions offered by some of the participating hotels, with an eye on the upcoming Easter and summer vacations. The hotel chains that shared their updates and promotions included: Vidanta Nuevo Vallarta, Dreams Villamagna, Samba, Iberostar Playa Mita, Krystal Grand Nuevo Vallarta, Hard Rock Hotel, Royal Decameron Complex, Grand Velas Riviera Nayarit, Grand Sirenis Matlali, Riu, Grand Palladium and Marival Group. On Wednesday, March 14th another event was held for over 80 registered travel agents, among them several Virtuoso agents. A trade show took place at the same time with the participation of several hotels and Aeroméxico, reinforcing the topic of connectivity from the heart of the country to this region. 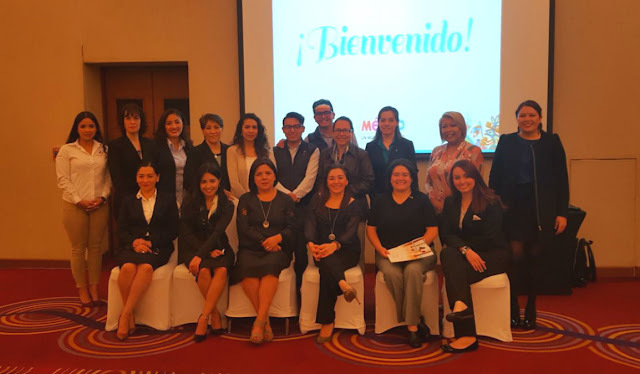 Last but not least, an event was held at the Four Seasons Hotel Mexico City on Thursday, March 15th, with 46 meeting planners. During the program hotel representatives were able to network with some of the top event organizers in Mexico City. 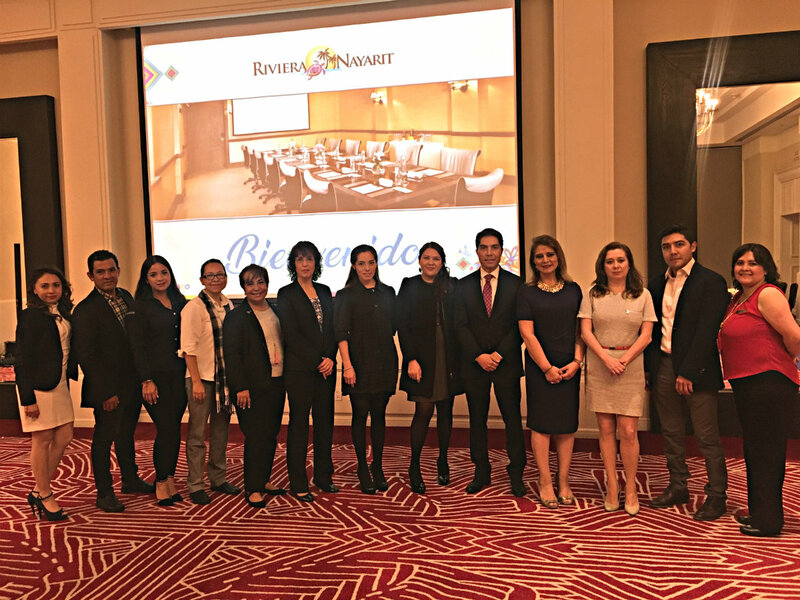 As if that weren’t enough, the team also offered a presentation about the destination, which showcased all the infrastructure the Riviera Nayarit offers for the meetings industry, an important segment given the infrastructure growth in the region. Mexico City has the highest concentration of meeting planners who invoice in the millions and generate excellent revenue for the destinations. The constant promotion of the Riviera Nayarit on a domestic and international level has paid off thanks to the joint efforts of the Riviera Nayarit Convention and Visitors Bureau (CVB) and the Bahía de Banderas Hotel and Motel Association (AHMBB), as well as the business and local communities in general that offer visitors a pleasant stay. This is all possible thanks to the support of the Government of the State of Nayarit via the Tourism Promotion Trust (Fiprotur).